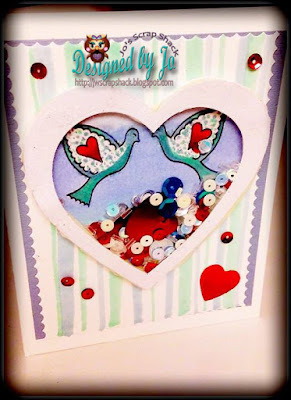 ~Jo's Scrap Shack~: A new stamp company, some inspiration and a giveaway! A new stamp company, some inspiration and a giveaway! I hope you have all had a wonderful weekend. Seems like this first week in February flew by quickly! Why do the days and nights go by so fast?? Anyways my friends, today I have a treat for you! 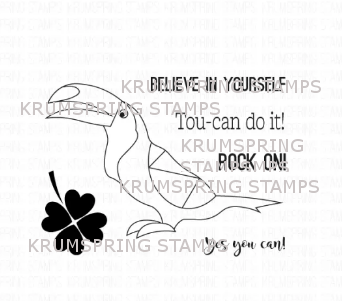 One of my sweet & new friends Maria is the proud owner of a new stamp company, Krumspring Stamps!! She was so very generous and had sent me some of her stamp sets to play with and of course, I have to share them with you. Let me just say this... Maria is in her own lane in this industry!!! 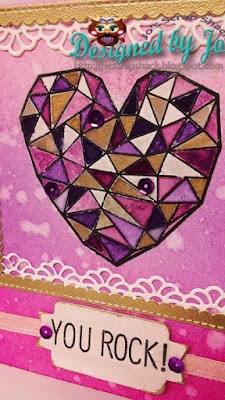 Her stamps are fun, whimsical and created with a geometric style using triangles. Here is a little bit about Maria and how her dream all started from her love of crafts and triangles.
" My name is Maria – I am a 25 year old graphic designer from Denmark with a passion for triangles and colourful cardmaking. 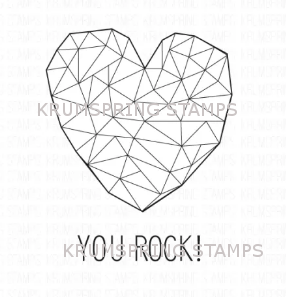 In August 2016 I started Krumspring Stamps, which are high quality photoploymer clear stamps – made in Europe.The name Krumspring is a play on words. 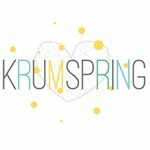 Krumspring is a Danish word, meaning “Doing something in an untraditional and/or funny way”. I totally wish that it meant “awesome triangle wizard” or something other really cool. But it is a fun and quirky danish words, which just happens to match my last name “Krumbaek”." This is the first stamp set that I reached for and couldn't wait to ink up. Is this not the cutest little guy??? I really love the triangles on his wings. I especially love the beautiful sentiments. Sure to lift someone up and give encouragement. So here is the card I made with this set. 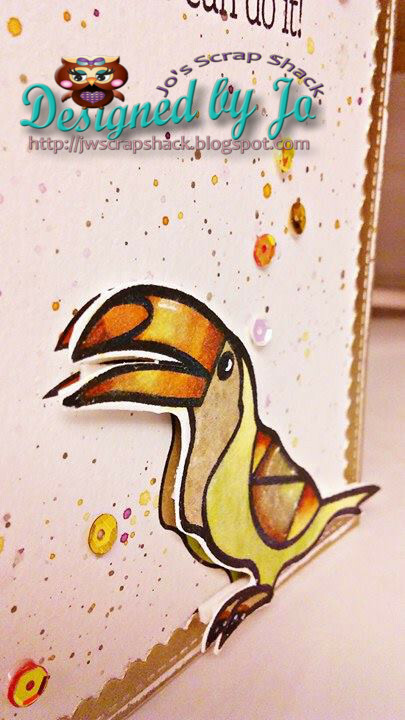 I stamp this adorable toucan in versamark and heat embossed using black EP. I did this twice. The first time I stamped directly onto my watercolor card panel and the second time, I stamped onto some watercolor paper and fussy cut him out. He was colored in using copics. Added some highlights in white. He is on 2 layers of foam adhesive as I aligned him up with the one stamped on the card and now it gives such beautiful dimension. My background was simple. Took my Gansai Tambi watercolors out and just made splatters. Stamped the sentiments. Dipped the edges of my card panel into versamark and dipped into my gold EP then heat set. Used same method and gold EP to create a gold frame that I die cut from my MFT dies and added some sequins in an upward motion to "lift" someone up. This panel was adhered to a cream card base. 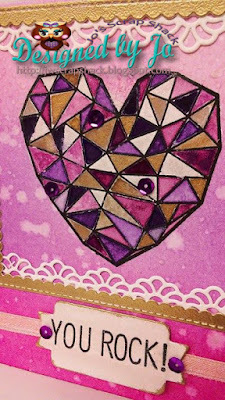 This next stamp set is just perfect for Valentine's day! And here is my card using these adorable little birds! Ok for this card, I took a piece of watercolor cardstock and started to create a watercolor washed background. I started with a teal color and blended in a medium blue and then used clear water to blend it out into a soft light wash at the top. 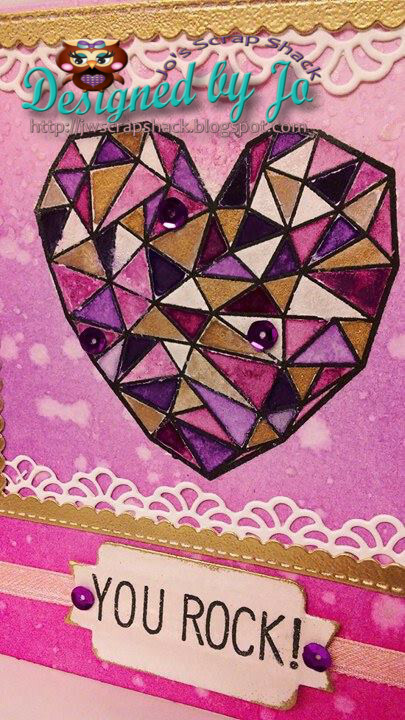 I took my hearts dies from Darice to cut out the image and to cut out the pieces to make a shaker. 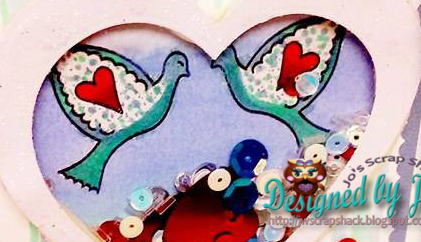 I just love these birds and the adorable hearts! My birds were colored in with copic markers and I added some dot texture to their wings. I left them white because I knew it would make the birds pop off that gorgeous background. I adhered all my hearts together with my sequins added inside and love how good the shaker pieces shake around freely inside. 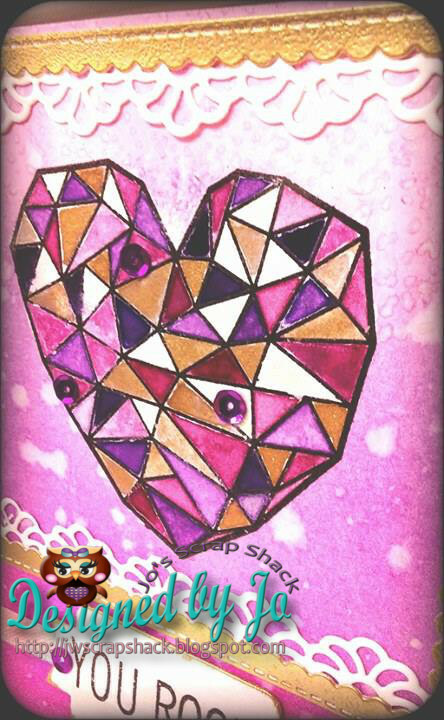 I used various sequins in clear, cream, red, pink and teal and also threw in some large heart sequins too. :) The striped background that the shaker was adhered to was also created by me. I took the same copics that I colored in the birds and just free-handed the strips in various sizes. 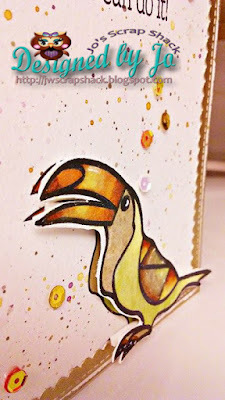 This piece was a negative to my scalloped frame die that I used on the previous toucan card so I figured why waste it? So I used this as my layering panel and I love it. Then this panel is layered onto some blue cardstock and to a cream card base. To finish it off, I added a few red sequins to the front along with a red heart sequin. How freaking amazing is this heart??? Look at all those gorgeous triangles!! I really love this stamp so much. 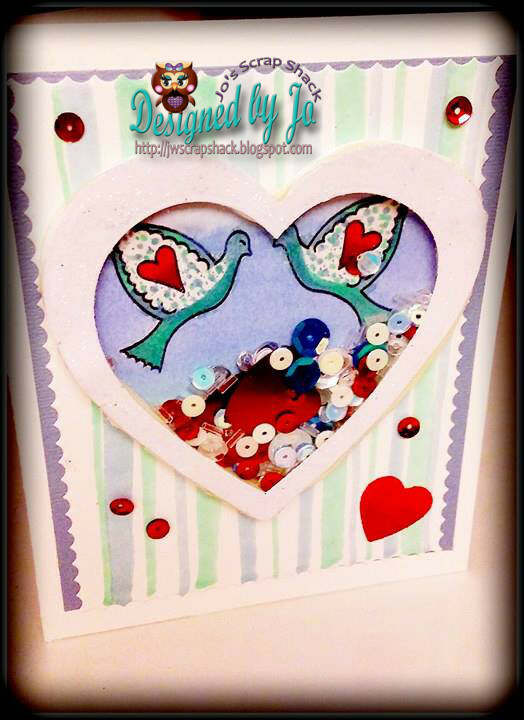 Here is my card using this beautiful heart stamp. 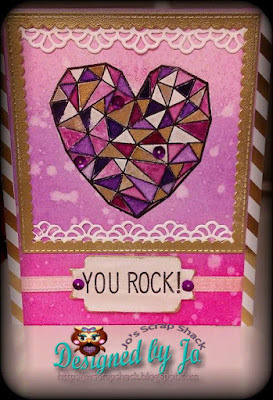 This card started off with me taking some watercolor paper and blending the background using some Picked Raspberry, Shaded Lilac & Dusty Concord distress inks. I took my water sprayer and sprayed the panel with water and then patted it with a paper towel to dry. Love how the distress inks work with the water to create such a nice textured background. Once the panel was completely dry, I stamped the heart in versamark directly onto the panel and heat embossed with black EP. I used my Gansai Tambi watercolors #37, #38, #139, #90 & #95 to color in the heart. Absolutely LOVE how these colors look together and up against that background, just gorgeous, especially in real life!! I stamped the sentiment onto a scrap piece of watercolor paper that I had brushed on some of the silver-ish watercolor, #95. It has a natural sheen or shine to it and the sentiment was stamped in versamark and also heat embossed in black EP. The sentiment was cut out using a label die from MCT and is on some foam tape for dimension. 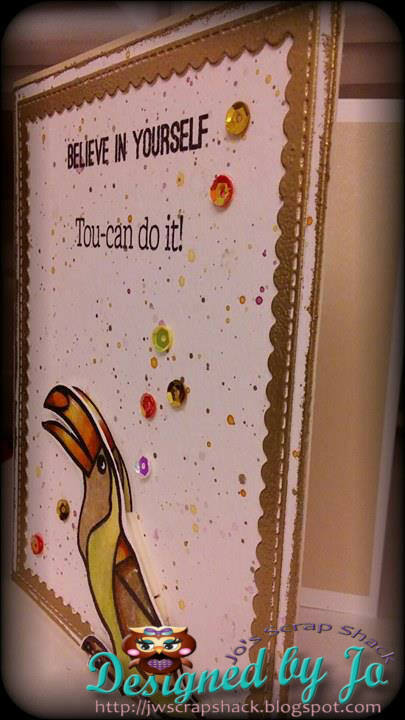 I added a thin piece of pink ribbon along the bottom of the card panel and then adhered the sentiment down to it. My card looked amazing at this point and I could have left it alone, but I knew I wanted to bring in some more gold. So I die cut out a scalloped frame (the same die set that I used in the first card) in a smaller size this time around and again, dipped in versamark and gold EP to create that beautiful gold frame. Die cut a fancy lace border and adhered that to the top and bottom to the inside of the frame. Adhered the entire card front to a piece of gold foil striped paper that I had and everything was adhered to a cream card base. 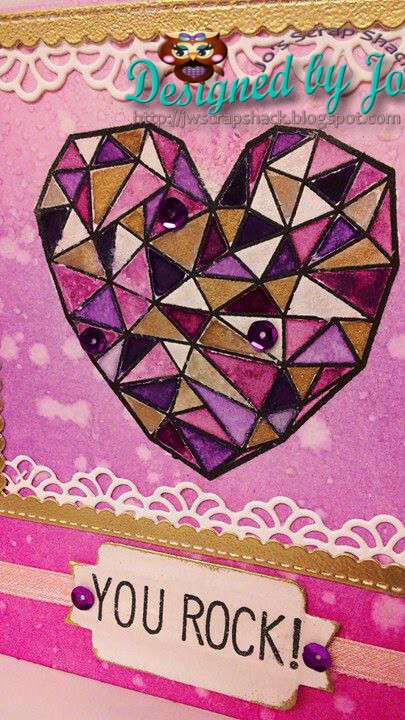 To finish this card off, I added a few plum sequins to the heart and to the sentiment. Here are two more photos. 1. 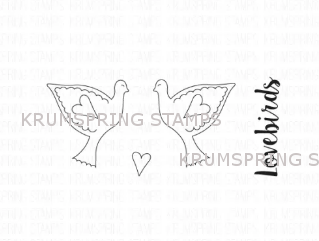 Visit Krumspring Stamps on their Facebook page and tell Maria that Jo sent you and tell her what you think of her stamps! 4. Leave a comment below on this post and make sure you are already a follower to my blog! If you want to check out the new release or to see all the beautiful stamps that Maria has already released, you can visit the store Here! I will be back tomorrow to show you one more stamp set and I will have another giveaway!! Thanks so much for staying with me to the end as I know this was a very long post! Have a great week! 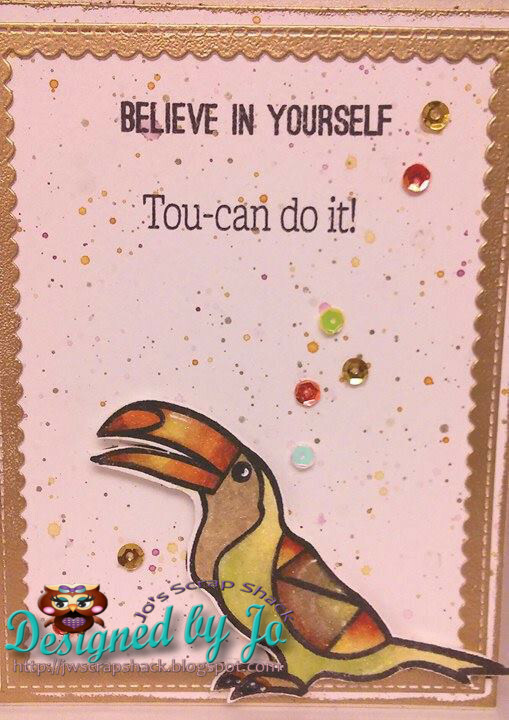 I love that toucan card and especially the sentiment. We can always use a new company. Looks like fun. WOW!! You have been real busy making cards! All are gorgeous! I know ..right! Feb is already going by fast. Don't know what that is about..LOL! You did such a wonderful job showcasing the stamps. Your cards are all BEAUTIFUL!! I love the shaker card with the adorable birds.You did an AWESOME job with the watercolor technique. I am a little intimidated with that technique.You make it seems easy. Thanks for your inspiration.You rock my friend!! I'm fascinated by these stamps! Can't wait to head over and see what other designs Maria offers! I love the heart design! Awesome job on all of your cards! Great coloring and design. Love the toucan card! Wonderful cards Jo and wonderful stamps. I love them all. Wow, I love the toucan card and your shaker card is fabulous! You have been busy:) Love these!